A traditional warm Scottish welcome awaits you at Moness Resort. Set in 35 acres of picturesque countryside, in the heart of Highland Perthshire, the resort provides an ideal base from which to explore the surrounding area. The resort consists of a delightful hotel which has recently undergone a full refurbishment and now consists of a selection of 26 luxurious rooms, made up of family suites, romantic doubles, twins and single occupancy rooms providing something to suit everyone. (Please contact us for details). A separate leisure complex, includes an indoor heated pool, steam room, solarium, snooker room, as well as a bar and choice of two restaurants. 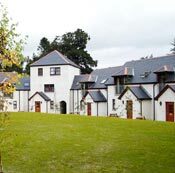 In addition there is a selection of luxury one, two and three bedroom self-catering cottages, many with views overlooking the magnificent Aberfeldy Hills. 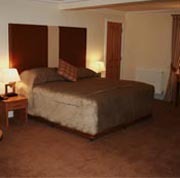 Fully equipped and furnished, these cottages have attained Scottish Tourist Board 4 star grading and RCI Gold Crown Award.